Apparent Erosion of Safeguards Against Military Rule: Has Article 6 of the Constitution Become Ineffective? Optics of Leadership: Wither the Elected Government? Taking exception to the advertisement issued by the DHA, Lahore for Phase VII although the ownership of the concerned land is under dispute, the Supreme Court conducted a series of hearings on the distinct role the Housing Authority has acquired. Since Pakistan’s independence, the nature of civil-military relations in the country has been a particularly peculiar affair, with wide-ranging and multi-faceted debates surrounding it. The existence of various commercial enterprises of the Military is a critical component of this debate. It is often said that these huge conglomerates provide economic power and benefits to senior Military Command and protecting these interests then becomes the major driving force for exercising covert or overt political power and influence. The Military strongly rejects and emphatically states that the funds generated by the commercial concerns are used entirely for welfare measures. A 156 kanal tract of land that DHA, Lahore took possession of, and included in Phase VII, ‘knowing fully well that the persons from whom possession was taken … did not have title and that the said persons were embroiled in litigation with a lady over the land’2. Continued resistance offered by the DHA, Lahore authorities to an audit to be carried out by the Auditor General of Pakistan. DHA, Lahore exercises most, if not all the powers of the Local Governments but is managed by an unelected Governing Body4 and an Executive Board5 in violation of Article 140A of the Constitution. The appropriate Legislature in relation to DHA, Lahore, is the Provincial Assembly of the Punjab. The management of the Governing Body and the Executive Board must be changed, as presently it comprises of Army Officers who are not under the administrative control of the Punjab Government. The ‘unfettered and uncontrolled power’ conferred upon DHA, Lahore under the Chief Executive’s Order No. 26 of 2002 to itself decide its area of operations violates the constitutional rights of the Government of the Punjab. With regards to the resistance put up by the DHA, Lahore to an audit by the Auditor General of Pakistan, the Supreme Court noted that the Authority does not fall outside the ambit of the Article 170(2) of the Constitution. It therefore stated that the Auditor General is the ‘competent constitutional authority for conducting the audit of DHA’ and should ‘proceed expeditiously to do so’. Similarly, the bench also noted that the advertisement of plots in Phase VII of DHA was also ‘evidently illegal’. The DHA Lahore, over time, has developed into a modern and sought-after residential area. The Authority however has come under increasing scrutiny due to an apparently unfettered role and alleged violations of the law. These include alleged occupation of 137 canals of land of the Government of Punjab, 64 canals of land allotted by former Prime Minister Muhammad Khan Junejo for settlement of katchi abadi residents, etc.6 The Auditor General Pakistan, Rana Asad Ameen also informed the Supreme Court that his office had written six letters to the DHA, Lahore for carrying out the audit of accounts but its management was not cooperating with them. 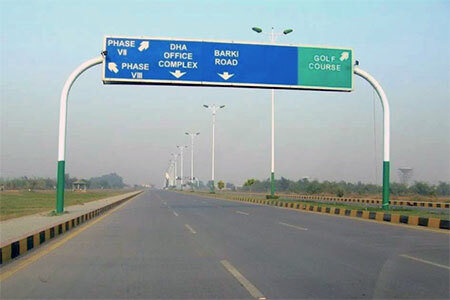 Considering all these factors, including alleged illegal occupation of land, aversion to an audit of its accounts by the AGP Office, and unfettered powers bestowed upon the Authority, PILDAT believes that it would in the interest of the armed forces and civil-military relations in Pakistan that the DHA, Lahore makes its workings more transparent. To begin with, the audit of its accounts will enhance its reputation of conformance to rule of law. While debating upon the theme of Public Participation and Democracy on September 15, 2015 (International Democracy Day), two stalwarts of the Pakistan Peoples Party (PPP) in the Senate observed that there was a growing civil-military disconnect in Pakistan. The debate arose when Senator Farhatullah Babar requested admission of an Adjournment Motion to discuss the ‘statement of former Minister Senator Mushahid Ullah Khan alleging involvement of elements of security establishment in political re-engineering of the country’. However, on the occasion, the Honourable Leader of the House, Senator Raja Muhammad Zafar-ul-Haq, while representing the Government emphasized that ‘I can confidently say that today civil military relations in Pakistan are in a state where we can say that by the grace of God there is no challenge to democracy’. It needs to be noted that Pakistan is actively involved in an internal war, along with facing increasing hostilities on its eastern border. Therefore, security remains a primary concern necessitating a proactive role of our Armed Forces, which may lead to a perception of disequilibrium. The point to be emphasized is that any difference of opinion should be resolved through existing forums for civil-military leadership’s interaction and coordination, including the increasingly dormant National Security Committee. Show of unity by all of Pakistan’s democratic forces, whether they may be the political parties, members of the civil-society, lawyers or intellectuals, so that by building upon the strength of national unity, the Federation may be strengthened. PILDAT believes that there is significant weight in the observations made by the Honourable Chairman of the Pakistan Senate with regards to implementation of Article 6 of the Constitution. Apparently, Senator Raza Rabbani’s statement alludes to the Treason Trial of the former President, Gen. (Retd.) Pervez Musharraf for his imposition of Emergency (de facto Martial Law) in November 2007. The matter till now has been held up not only because of the judicial proceedings, but also because of the flagrant disregard shown by Gen. (Retd.) Pervez Musharraf for court proceedings. He has missed multiple appearances in front of the Special Court. In fact, this habit of not appearing before a court of law due to ‘medical reasons’, even though he has not shied away from frequent media appearances, is a mockery of the rule of law. PILDAT completely agrees with the observations of the Honourable Chairman Senate. Until there is public support and ownership of the Constitution, especially of the Article 6, the civilian elected Governments will remain largely ineffective, and the specter of a military intervention would always loom large. ‘Zero tolerance for corruption’ and ‘Rule of Law’ are certainly two most important pillars which support democracy. 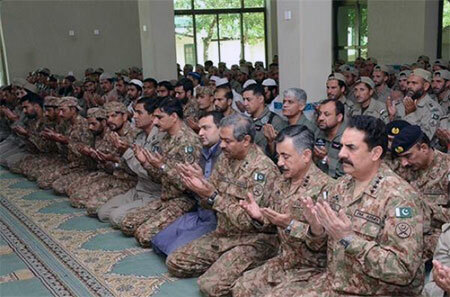 The optics generated by the COAS, Gen. Raheel Sharif’s visit to the Khyber Agency to celebrate Eid with the troops on September 25, 2015 were inspirational not only for our Armed Forces, but also for the rest of the nation as we remain actively engaged in a war against terrorism. 11. Picture courtesy the ISPR. 18. The meeting was also attended by the Federal Minister for Interior, Chaudhary Nisar Ali Khan, MNA; Federal Minister for Religious Affairs, Sardar Muhammad Yousaf, MNA and the Minister of State for Education, Mr. Muhammad Baligh-ur-Rehman, MNA.